Well-earned accolades. Your answers were so freaking funny. I didn't know that an aversion to wood-in-the-mouth was a thing. Where does that come from? And the plastic wrap thing got me giggling. By the way, for you, I'm clicking on every ad I see on your site to hopefully hook you up with some deserved compensation for your hard work. Aww, I was awarded! Thanks. In all seriousness....it's the splinters piercing the tongue possibility right? Tell me I'm right. Thanks for the award! 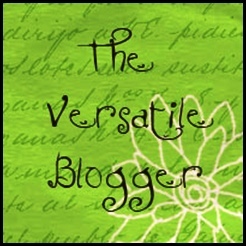 And for giving me some new blogs to check out!! I completely understand the beer thing too! WHat do they put in that stuff? Pickleope: I think you just might definitely be my best platonic male internet friend :) The wood thing...I think it might come from tongue depressors at the pediatrician and a very sensitive gag reflex. Tonya: You're so welcome! It's the tingling in my teeth at the mere thought of it (even typing it now). Aww, thanks for the award! I've always thought of myself as more sour, but I like the "Sweet" award, too. I'm so excited to meet you when we finally go to Seattle in June! Megan: You're welcome! I would love to have a movie conversation in June! ps. The reference to The Fifth Element is AWESOME! Ah braces. Genuinely horrific. I had them from 13 to 18. To realign my unnaturally large over bite. Thankfully, they worked, and now I only look like 75% freak! jennie: I'm so happy you're happy, and that you happen to have glitter available for the occasion! AND that you got the Fifth Element reference! I hate popsicle sticks too!! Make me cringe every time! Congrats on becoming part of the fitfluential team! Awesome! 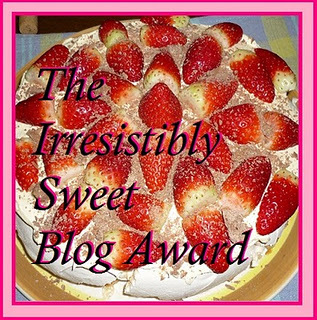 Ha, it seems like everytime I come and take a visit at your blog, you're receiving some kind of award. That means you're awesome. Shannon: Well, it's been a little while since the last one. But yeah, I guess it feels like i'm *always* getting awards (totally kidding). I loved that picture, btw. Congratulations! I SO enjoyed this post - but not sure what liking the Beer/Vomit pic best says about me??!! Maybe it just says I'm an Aussie!!! Awesome article I got to say. Keep up the excellent work with your website and I look forward to your next post! Congrats on the FitFluential Ambassadorship (what a prestigious title, huh?)! Love the illustrations to this post! fitknitchick: Thanks! It certainly does feel prestigious, doesn't it?